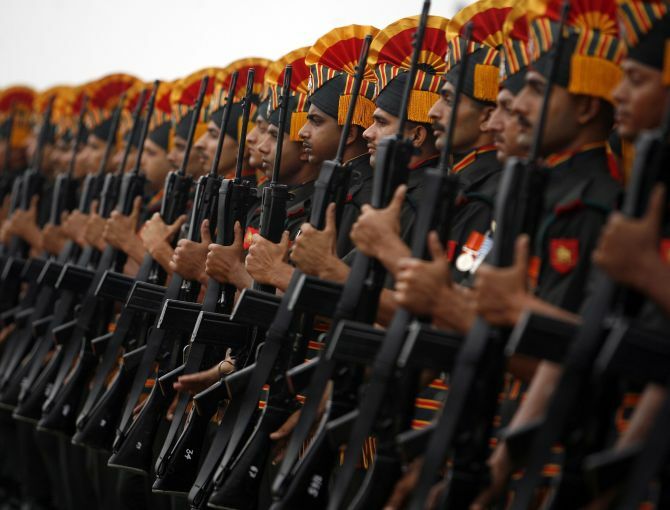 The army has finally clarified that the junior commissioned officers are gazetted officers and cancelled a seven year-old note describing them as "non-gazetted" officers, a move that will benefit over 64,000 personnel. The decision by the army two days back comes amid growing resentment among a large section of its officers over the controversial issue of rank-parity between them and their civilian counterparts in the service headquarters. In an official note, the army headquarters has cancelled a communication issued in response to an RTI application in July 2011, which had categorised the JCOs as non-gazetted officers, according to documents accessed by PTI. The 2011 note had triggered widespread outrage among the JCOs, some of whom made a series of representations to the army headquarters to withdraw it. The controversial issue of status equivalence between military officers and those from the Armed Forces Headquarters cadre was discussed at the recently concluded Army Commanders' conference which favoured immediate removal of the alleged discrepancies. When asked whether the army headquarters will send a fresh communication to the RTI applicant who had filed the query about the status of the JCOs in 2011, Army Spokesperson Col. Aman Anand said, "The matter is being examined as per the RTI regulations in force." There has been growing resentment among the military officers who have been insisting that the current status equivalence was flawed and that the government must address their concerns. The Naib subedars whose number is around 55,000 get salary under non-gazetted category, he said. The matter is among the main issues being examined by the Army as part of anomalies in pay and allowances of its personnel. An army is only as good as its officers!